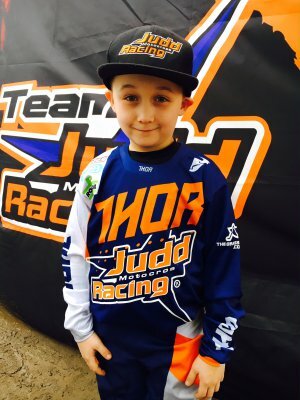 Race History: Judd Racing British Premier Cup 2017 Auto 7-8's Champion & ACU British Champion, 2017 World Minibike Auto Runner Up, 2016 MCF British Mini Bike Champion at the International Dirt Bike Show, Judd Racing MX Premier Cup 2016 Runner Up - Auto's 6-7 Years. Started as Plymouth speedway mascot, then tried mx racing a few meetings at club and national level and loved it! 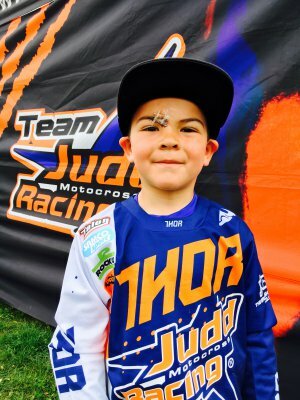 Race History: 3rd place in the Judd Racing MX Premier Cup 2016 - Auto's 7-8 Years. EASSC 2015 Champion, 2nd place in EASSC Auto Cup, 3rd place in EASSC Winter Series all in 2015. 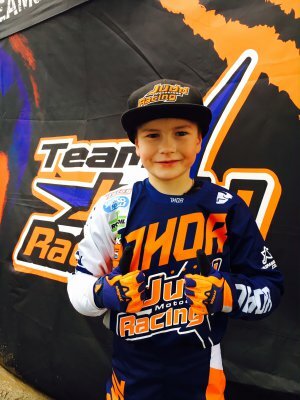 MX Master Kids France I got 3,3,3,4 and 10th in the Gold Finals. Master Kids UK got 5th overall out of 80 from across the country. First time doing Mini Champs Supercross four 1st's then had bike failure, so didn't get the overall. 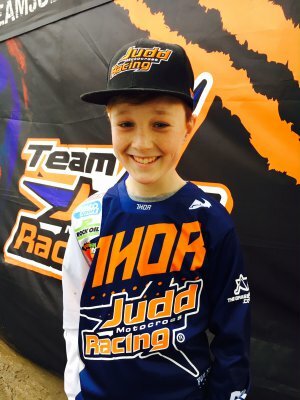 At age 7 I competed in the older age group, in the Route 77 British MX Cup and finished 9 overall, best result was a 6th at Landrake.